Posted January 22, 2019 by Astrid Mallet & filed under Beauty, Clients, Lifestyle. 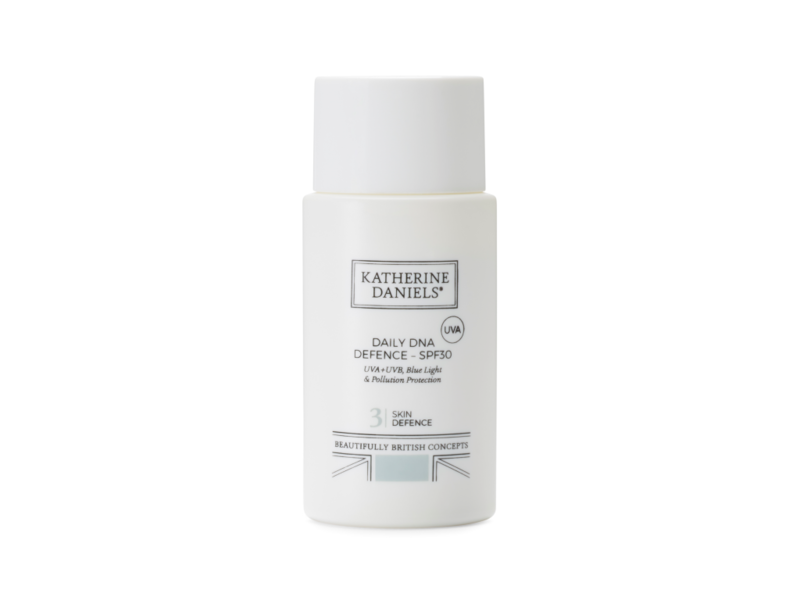 We are excited to announce that luxury skincare brand Katherine Daniels has joined #PushBEAUTY. 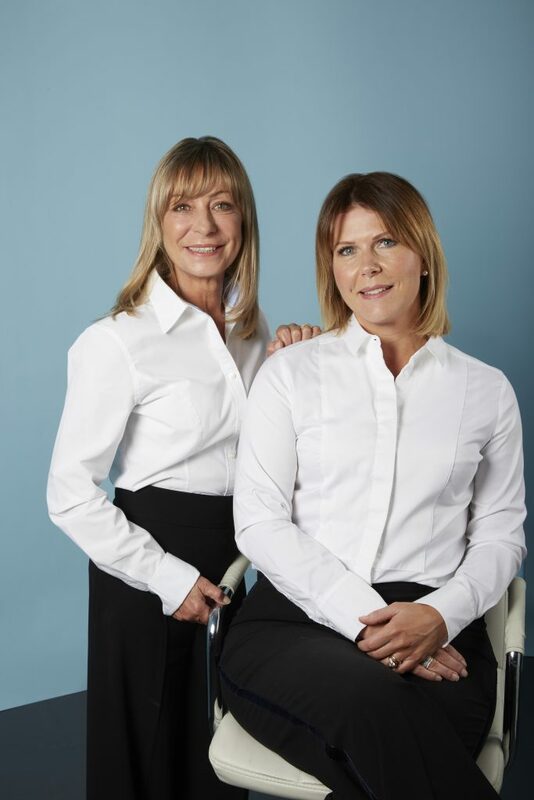 It was a match made in heaven when skincare expert Kirsti Shuba met top facialist Donna Tait. With over 65 years’ experience, they are true beauty gurus having helped thousands of people look and feel fabulous. Having joined forces with some of the world’s best cosmetic scientists, Katherine Daniels was born. Say goodbye to long complicated skincare routines and say hello to beautiful skin! Our careers in the Professional Beauty Industry span over 65 years combined. It was a natural desire for us to share our knowledge and experience with other people. With this we launched the Professional Treatment side of the brand along with a daily care (homecare) side of the brand. It was obvious to us that there was a need for an effective, yet easy to use product line that provided results for busy people, with no scary price tags. We also knew that efficiency and sustainability are key to delivering better skin for life. What is affordable this week may not always be affordable next month, if the kids need new shoes, trainers, wellies (all in 1 foul swoop!) Affordable luxury combined with results were amongst the drivers for us. In the evening I always start with products from our Step 1 – Skin Essentials. I use Essential Micellar Face & Eye Make-up Remover to take my eyes off and then flip the cotton pads and wipe over the rest of my face (I don’t waste a drop!). I double cleanse my skin, using our Essential Cleansing Milk and Micro Cloths to remove, this speeds up the process massively and ensures an efficient cleanse. On the second cleanse I use my Deep Cleansing and Skin Rejuvenating Device, to stimulate the blood flow and enhance my lymphatic system, it helps to remove toxins from my skin before they can become problematic. I follow this with the Essential Toning Lotion. After this I apply a Concentrate from our Step 2 – Skin Boost, depending on my skins need, either, Nurturing Night Balm, Concentrate for Dry Skin or Rehydrating Concentrate (Urban Shield). The beauty of knowing what I know is I can be prescriptive with my routine on a daily basis. I further use the Multi-Tasking Eye Balm and Plumping Lip Balm. Then I add my Treatment Cream from Step 3 – Skin Defence; either Rehydrating Cream or Dry Skin Cream depending on my skins needs. In the Morning rather than double cleansing and toning I use the Miracle Cleansing Jelly in the shower and remove with a Micro Cloth. Its quick and effective and means I don’t need to stick my face under the shower to remove the product. I then follow the same regime as at night time but always finish with a layer of Daily DNA Defence – SPF30 to protect my skin form UV damage, Blue Light and pollution. On a weekly basis I always exfoliate my skin with our Essential Exfoliating Gel – it’s so gentle but really effective at removing dead skin cells to allow our active ingredients to get into my skin and do their job. It’s a fab product for leaving a peachy soft finish to my skin. I always massage my skin after exfoliation and use a Concentrate from our Step 2 for this, which one depends on how my skin is feeling that day. I also always use a mask after this – either our Smoothing Resurfacing Mask or Repairing Nourishing Mask, depending again on the needs of my skin. I mask the backs of my hands twice weekly with the Repairing Nourishing Mask and let it work overnight. I exfoliate my body weekly with our Gentle Oil & Salt Exfoliator and on a daily basis moisturise my body, I love our Nourishing Hydrating Balm for this, and it doubles up as a great hand cream throughout the day. It sounds like a long and laborious routine but honestly, it’s not, I believe that great skin is achievable with 2 minutes care in the morning and 2 minutes in the evening plus a little extra TLC once a week when I exfoliate and Mask. The real challenge for all of us is finding a brand and its products that can deliver the results. We work with our team of skin scientists to find the ingredients that will give us the best results. They can be from anywhere around the world. The technology we have available to us is huge and we use Bio-technology to its full advantage. We combine different key ingredients to create new ones that deliver bigger results than if you were to use the ingredients individually. We use a lot of marine actives, which are farmed mostly off the coast of Brittany. Brittany has clean sea water as the temperature is so cold, meaning very little pollution form tourists and tourist attractions compared to other seas and oceans. The best piece of Beauty advice you’ve ever had? You don’t need to have an extreme diet and lifestyle to have fabulous skin but the less work you do from the ‘inside, out’, the more work you’ll need to do from the ‘outside, in’. The older you get the more you need to work with your skin to keep it looking great for your age. This resonates well with me – Mum of 2 young children, business woman (more than full time), I don’t go to the gym, I’d rather a glass of wine or a coffee than a glass of water, I don’t get enough sleep and stress levels are always high. Whilst I don’t condone all these things… this is me! Its about keeping it real; real people having the availability of fabulous result driven products, that are easy to understand, luxurious to use and give visible results. You won’t need to re-mortgage your house to buy them either! When you need a little extra help or you want the world to stop so you can relax, we have a full range of amazing face and body treatments which combine 5 star luxury with results. Are your products suitable for all skin types and concerns? Absolutely YES! We treat the skin in 2 ways, firstly by your genetic skin type, which is either dry (or dryer), with a tendency to underproduce oil within your skin, or oily with a tendency to over produce oil within your skin. Secondly, we treat by skin condition; condition comes from lifestyle environment and includes things like sensitivity, dehydration and the visible signs of skin ageing. When you can enhance the skin to function to the best of its ability, all skins regardless of type and condition can be treated really effectively and results are fast. Favourite product in your range? That’s a really difficult question because one product works with another to give overall skin health and ultimately results. But if I have to pick just 1 – today its Rehydrating Cream because of the current climate being so cold outside and central heating being turned up high, my skin can suffer from the signs of dehydration (lack of water). Rehydrating Cream keeps my skin comfortable; any open pores are kept as small as possible and the grey colour that is seen at the base of open dehydrated pores are flushed through to ensure the sallow complexion associated with skin dehydration is not a problem that I can see on my skin. It diminishes lines of dehydration, my skin is plump and translucent so that light can bounce off it, so it looks healthy. On the inside thanks to our key ingredients I know I have a good healthy well-functioning skin – better skin for life. For all press and media enquiries email Holly Marsh on holly@pushpr.co.uk.